For a cool, contemporary approach to holiday decor, consider this green Rattan Cone With Gold Star. 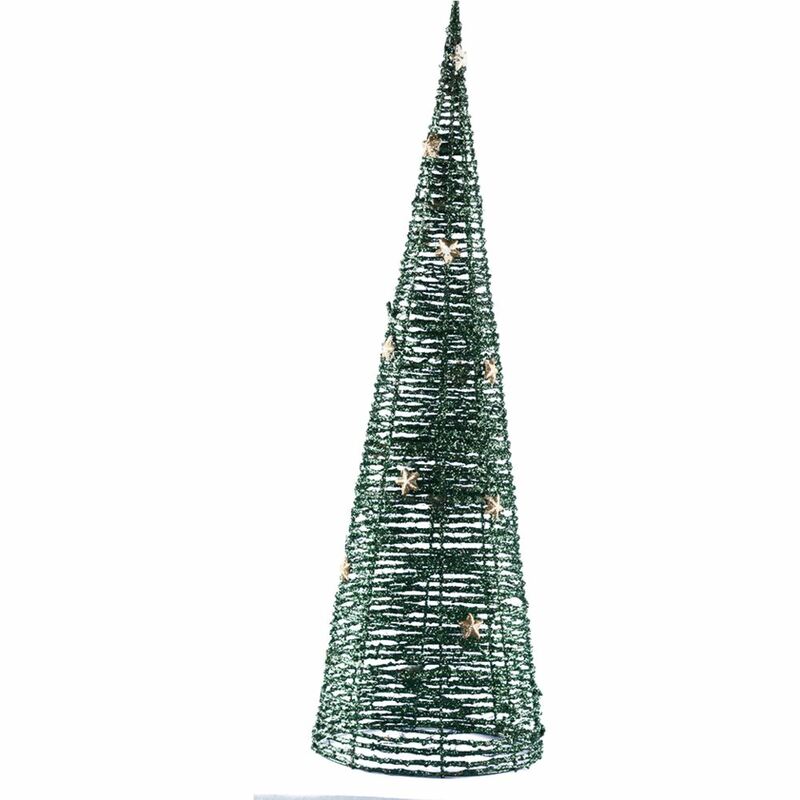 This unique conical-shaped tree is a modern spin on the traditional Christmas tree, crafted from natural rattan which gives it a natural, wholesome appearance. Measuring approximately 31cm wide at its base, and around 100cm in height, this would be a wonderful accent to place near your entry, in an office, or anywhere that you want to add a captivating display with no muss or fuss. You could choose to illuminate this intriguing tree by placing a strand of battery-operated LED lights, offered and sold separately, underneath the cone to shine through and light up the tiny gold stars accenting the tree’s facade. These cone-style trees are also magnificent focal points when used in a grouping of two or more. Use different sizes or invest in several of these enchanting 100cm tall trees. These are convenient to use and spectacular to behold!